The “Move Illinois” tollway project near Chicago’s O’Hare International Airport. Photo: Illinois Tollway. 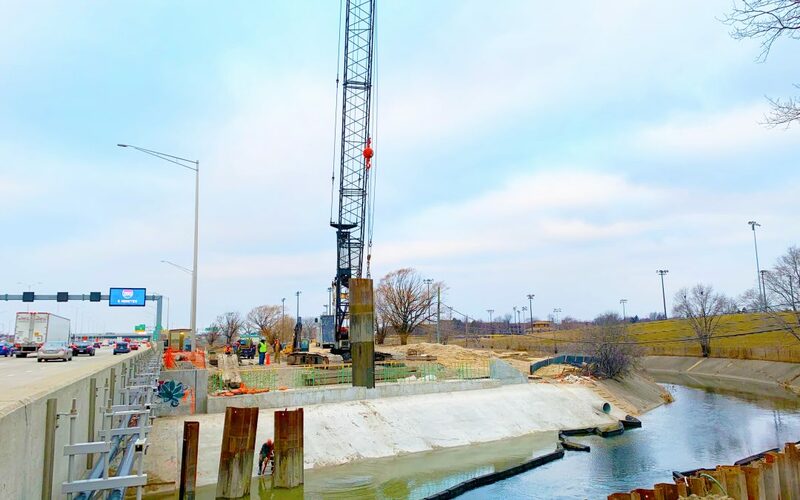 Construction on the full-access interchange that will connect the new I-490 Tollway to the Jane Addams Memorial Tollway (I-90) in Des Plaines, Illinois, about 18 miles northwest of the Chicago Loop is scheduled to begin this week. The I-490 Tollway, coupled with the Illinois Route 390 Tollway, which was completed in 2017, will connect businesses and communities with O’Hare International Airport, transit facilities, major freight transportation hubs, distribution centers, and multiple interstate highways including the Jane Addams Memorial Tollway (I-90) and the Central Tri-State Tollway (I-294). The I-490/I-90 Interchange is being built as part of the Illinois Tollway’s 15-year, $14 billion Move Illinois capital program, now in its eighth year. The 2019 capital program calls for investing $1.4 billion. By year end, the Tollway will have spent half the Move Illinois budget. The interchange project is expected to be completed in 2023. 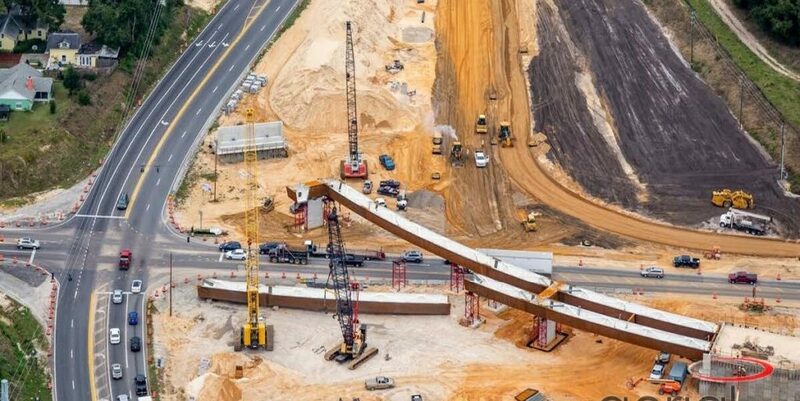 Pile driving for bridge work on the final $253 million segment of the Wekiva Parkway project about 20 miles northwest of Orlando, Florida, will begin in the coming weeks. The overall $1.6 billion project is scheduled for completion in 2022. Nearly two dozen (22) bridges are required for the final segment. The work also includes design and construction of 2.63 miles of limited access toll road; 2 miles of reconstruction on Interstate 4; and drainage, lighting, paving, utilities and other roadway work. The project is designed to accommodate future express lanes down the median of I-4. The last leg of the 25-mile tolled Wekiva project will complete the beltway around Central Florida that has been in planning and construction for over 30 years. Through last year, 13 miles of the parkway had opened to motorists. The project is a cooperative effort between the Central Florida Expressway Authority and the Florida Department of Transportation. Several ARTBA member firms have been involved in the design, construction, and management of the Wekiva Parkway project. Flyover beams under construction on Wekiva Parkway, Florida. Photo: Aerial Innovations.